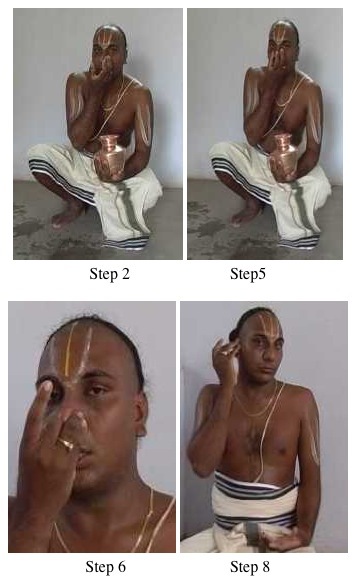 An Achamana is a purificatory ritual that consists of sipping small amount of water from right palm after sanctifying it(the water) with mantras. An Achamana precedes all Vedic ritual. There are certain rules which are needed to be followed while doing it.A recommended posture for doing it is the squatting position(although i don't think that this is mandatory). Question-Why it is important to squat while performing an achamana?What are the advantages of squatting(in this regard) over any other postures like say Sukhasana or Padmasana? A video demonstrating Achamana being performed in a squatting posture. As per the Samvarta Smriti, Achamana , if done while sitting on a seat or while sitting on one's thighs,the act does not purify the performer. That is possibly the reason why squatting is considered as the recommended posture for performing Achamana. Samvarta Smriti Chapter 1 Verse 22. 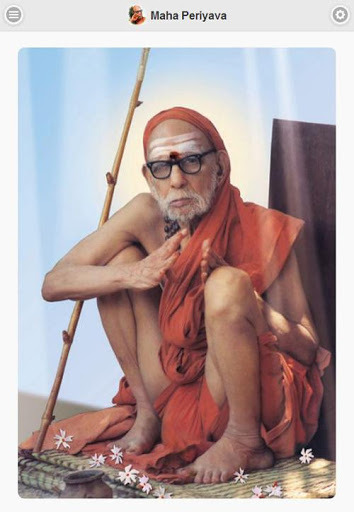 Given below is an image of Sri Maha Periyava in a squatting posture.Probably he is about to perform achamana or just finished doing so. Not the answer you're looking for? Browse other questions tagged scripture worship vedic-rituals asana . Why to ring bell while entering temples? Which direction should one face while doing Sayam Sandhyavandanam?